The premier trade association for IT entrepreneurs, TAIT, has been focused on creating meaningful growth opportunities for members by exploring new alliances. The managing committee, with its newly elected members, have taken this sentiment ahead by not only increasing the scale of the existing events but also curating new and innovative platforms to grow and interact. With a power-packed combination of business, knowledge and leisure events spread across 2017-18, TAIT is all set to create a unified voice for the IT community, with 70% of Mumbai’s IT Trade ecosystem being its strength. 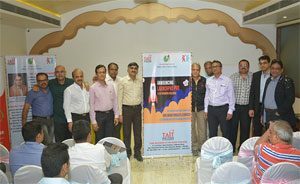 Actively working towards the interests and growth of the IT Community in Mumbai, TAIT’s new board, announced in October 2017, has efficiently carried out several engagement initiatives over the past six months. 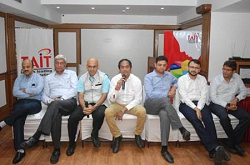 In addition to a fresh board of directors, TAIT this year also introduced the TAIT Advisory Council– a 4 member committee comprising of 3 past TAIT presidents – Mr. Champakraj Gurjar, Mr. Ketan Patel and Mr. Girish Rathod and 1 senior past TAIT Board Member, Mr. Nikesh Sakaria. The Advisory Committee will work closely with the current Board of Directors and offer valuable insights and guidance based on their immense experience, to benefit the Association and its members. While the upcoming months promise an equally innovative engagement phase ahead, the year 2017-18 is set be a year of new milestones, bigger events and larger participation. Headed by the newly elected President, Mr. K.R Chaube, the TAIT committee with guidance from senior members, kick-started the year 2018 with the launch of the innovative business event, ‘Lauchpad Pro’ – a platform that allows member partners to showcase their individual product or service to the rest of the member partners. The concept is thoughtfully designed to offer every brand owner with a dedicated platform to reach out to an audience of over 350+ member partners and expand their business by gaining maximum reach to relevant target audience. The launch of the LaunchPad Pro was a part of TAIT Knowledge Series (TKS) events, which are a popular and insightful platform to empower the members with the latest trends in the industry and often also offers guidance to members in specific areas of Business. For the current year, the board has organised two significant TKS. 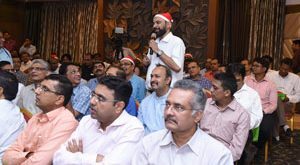 The first among these was held on 21st November 2017 and featured a talk on ‘Work life balance through Yoga’ by Yoga consultant Dr. Nutan Pakhare and was followed by an introduction of the new board members and their activities. The second TKS was held on the 24th January 2018 and it focused on the crucial issue of understanding the newly passed E-Way bill, its implication on tax structure and GST etc., The TKS also featured an insightful talk on ‘Your Relationship with your business’, by well-known marketing expert, Mr. Bharat Jethani. Often accompanied by an insightful presentation by an expert guest, the TKS is one of the most well received events at TAIT. In terms of key Business events, apart from the LaunchPad Pro, TAIT will continue to organise meaningful empowerment events through the TAIT PaathShaala – an expert lecture serieson skill enhancement for C-Suite and mid-management employees, and the TAIT Knowledge Series – an event with expert guest speakers and members sharing insights into their fields of knowledge, to further collaborate and empower members and forge alliances. Apart from knowledge series and events, TAIT plays an active role in integrating the community through an active grievance redressal and arbitration support. The grievances committee headed by Mr. Samir Mehta, Mr. Viren Bhavishi and Mr. Parag Shah,has effectively addressed common grievance issues pertaining to payments, product warranty support, vendor support etc., among member as well as those between members and non-members. TAIT’s active Arbitration committee, headed by Mr. Vivek Bavishi, Mr. Sameer Mehtaand Mr. K. R. Chaube, with the support of a panel of arbitrators, has been working towards the continuous resolution of disputes through set rules of procedure, formed to provide smooth adjunction of disputes arising out of transaction between /among members of the Association interest and/or between Member/s of Association and non-member/s. In addition to the above, one of the highlights for this year at TAIT was the much- awaited SEAGATE – TAIT IT Cup 2018,a mega two-day cricket event where 12 teams in 4 groups battled it out in 12 league matches, 4 quarter finals, 2 semi-finals and a grand finale, to win the coveted SEAGATE – TAIT IT CUP 2018.The two-day event also hosted a friendly match between TAIT Committee members and key media friends. 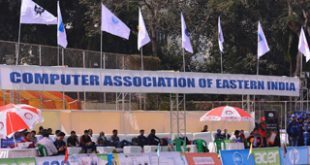 With several other peripherals like a pre-tournament day for friendly matches, live streaming of the match through Mumbai Live, which ensured the match received a global viewership across 137 countries and impressive gifts and giveaways from sponsor brands, the SEAGATE –TAIT IT CUP 2018 was also the very first where brands, OEM’s and distributors/ vendors played shoulder to shoulder, as a team, in the true spirit of sportsmanship! Held on the 24th -25th February, the event was managed and executed under the passionate supervision of TAIT’s new Director, Mr. Sunil Tharani of Sound Solutions, with dedicated support from board members. The TAIT Winter Mela, also an actively anticipated TAIT event, was held on the 16th December 2017 and was a great success. Planned as an annual gala event where partners, along with their families, come together to celebrate the festive winter cheer, the 2017 Winter Mela was a grand success that saw enthusiastic participation from the IT community. From key OEM’s to vendors and member employees were invited along with their families to share a light evening of fun and frolic. In its tireless effort to shape and nurture the community and to impact policy decisions, TAIT Directors namely Mr. Samir Mehta, Mr. Magan Gangani recently initiated an intervention with Mr. PravinJi Khandelwal, General Secretary of Confederation of All India Traders (CAIT) and a Member of GST Law Advisory Committee, GoI, with a request to reduce the GST slab rates to 18% on IT Products. Highlighting the drawbacks of the 28% GST slab on key items like the Projectors, Web Cameras, 20” to 27” LED/LCD monitors, Laptop batteries and components, industrial batteries and other essential parts, TAIT directors have presented a compelling case on behalf of IT traders in the computer peripherals business. 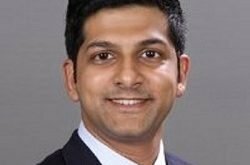 As a strong voice of the IT community, TAIT and its board of members elected for 2017-18, continue to strengthen the bond between various players, to ensure the unity and commandeer can effortlessly result in a smoother, efficient and mutually beneficial business environment with accelerated growth opportunities for all stakeholders.